West Country Buzz is a collaborative North Devon-based project, working with farmers, landowners, land managers, organisations and volunteers to adopt pollinator-friendly practices, helping to increase wild pollinators locally and across the landscape. Target species are the Brown-banded carder bee and Moss carder bee. North Devon is sadly the last known area for these priority species in the whole county, and they are declining nationally. The project’s aims are to survey and monitor these and other bumblebees; to provide advice and support to raise awareness of what pollinators need; and to provide habitat management assistance. Natural England and the Prince of Wales Charitable Foundation are generously supporting the project. 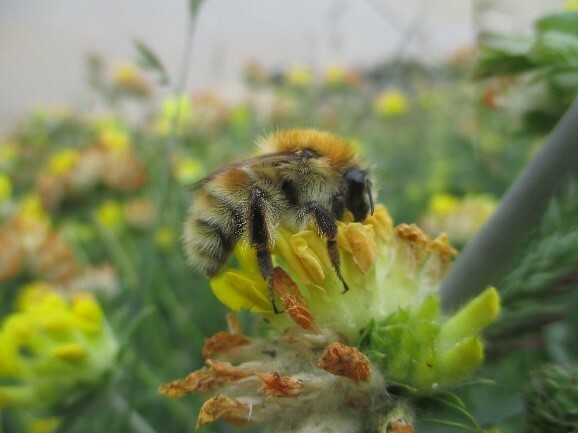 We are piloting approaches towards development of a Nature Recovery Network (NRN), targeting these S41 bumblebee species and benefiting a broad range of other pollinating insects. The NRN will be used to create, restore and join up pollinator habitat at a landscape scale. Flower-rich habitats, such as meadows, will form corridors and stepping stones to join up populations across clusters of neighbouring farms, and allow movement and expansion. Our work will gradually radiate out from these initial cluster areas in future years, allowing these species to recover to their former ranges across the landscape. 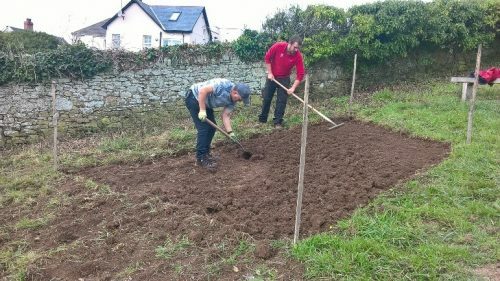 The West Country Buzz project is in North Devon, working with farmers, landowners, and volunteers; and collaborates with a range of organisations in the area. We provide in-depth management advice and support, and run farm days to share ideas and best practice between neighbours. Over the autumn 2018, we have been carrying out habitat creation for pollinators, such as sowing meadows and plug planting. We are currently mapping pollinator habitat to decide where next to target efforts. We are also modelling habitat suitability in the wider landscape to identify further possible restoration sites. 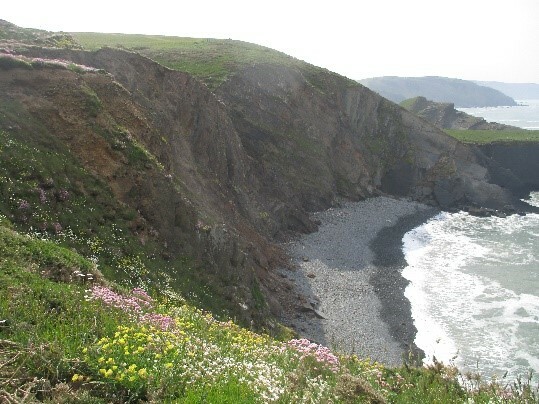 Habitat creation for pollinators is a key part of the project, such as this meadow creation with the National Trust at Baggy Point. 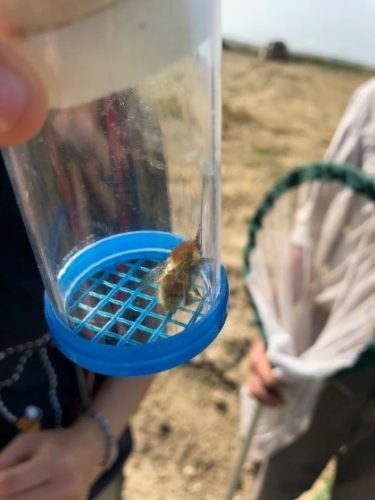 Last year’s surveys found only three sites in the whole of North Devon for the target bumblebee species, and at one of these, only a single worker bee was found despite repeated searches. This demonstrates how vulnerable these populations are, and that conservation work is urgently needed to safeguard them. 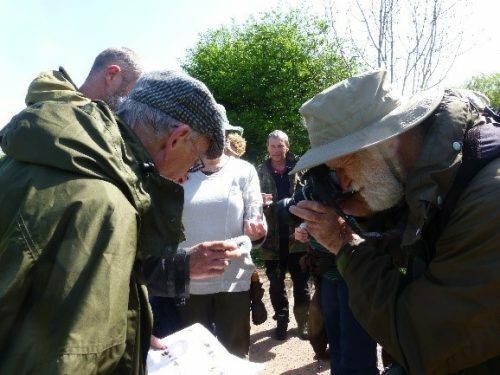 In 2018, we ran a series of bumblebee identification workshops, field practice sessions and other events, with more planned for 2019 (see https://www.bumblebeeconservation.org/events-calendar/). We ran bumblebee identification courses and field practice sessions to train new recorders. September 2018. Copyright 2018 ©. All rights reserved. The Bumblebee Conservation Trust is a registered charity (England & Wales 1115634 / Scotland SC042830). Company registration number 05618710 (England & Wales) Registered Office: Bumblebee Conservation Trust, Lakeside Centre, Lakeside Country Park, Wide Lane, Eastleigh, Hampshire SO50 5PE.